Most surveys show that a majority of enterprises have at least started their journey to DevOps adoption. The specifics of DevOps adoption depend on how it is defined and measured. Just looking at continuous delivery (CD) and automation, a survey from DBMaestro of 224 IT professionals in October 2017 found that 89 percent have at least partially adopted automation CD for application development, while 77 percent have done so for databases. Not a bad showing for databases, but continuous delivery for databases is further behind in terms of scope and maturity. One area for improvement is that only a third of respondents said they use automation tools to build or submit scripts to make database changes. So far, this has not had a major impact on deployment frequency as 43 percent of survey respondents are deploying changes more than once a week. Complete automation is not a prerequisite for DevOps. Looking forward, the frequency of deployment changes may not change, but instead, DBAs may be able to focus on more testing and security priorities instead of manually executing scripts. As we reported earlier this year, a survey of SQL Server users by Redgate showed a disconnect between those creating and managing production applications. 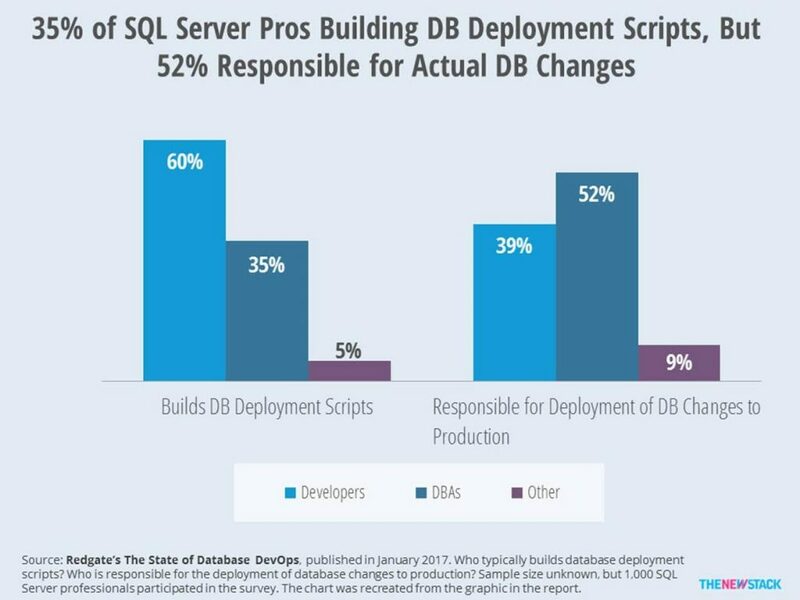 Although 60 percent of developers write scripts to deploy databases, only 39 percent are actually responsible for the databases changes once they’re in production. DBAs have in the past been reticent to allow for automation, but they’ve reached a tipping point. 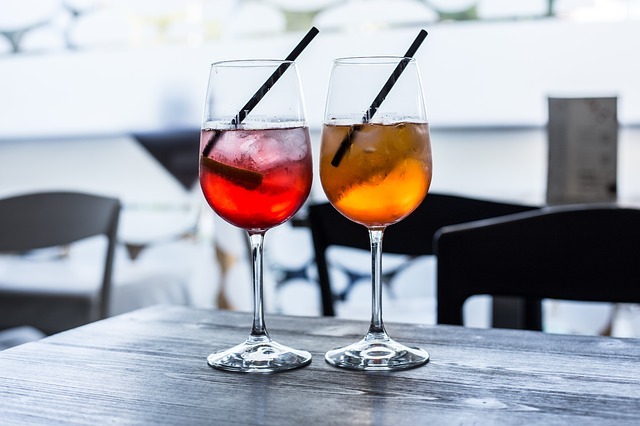 As Datical CTO Robert Reeves explained to us, while application release automation helps developers, database administrators have yet to see the benefits. Just like with testing and security, databases need to be integrated into CD/CI pipelines for true automation to flourish.